How Far is Ranga Woods? Second floor bed with wooden flooring. Kitchen countertop with Black Granite slab and 2’ height branded ceramic tile dadoing. RAIN WATER HARVESTING AS PER STANDARDS. Ranga Foundation (P) Ltd is a renowned construction started by the group of experienced civil engineers as a private limited company in the year 2001, since the inception the company is seeing steady growth. Spread their wings across residential buildings, apartments, and Villas construction. Ranga Foundation is known for integrity, quality craftsmanship, and excellence in management. They have completed 20 Projects till now with this success in the fold they have planned to enter into the next level of development. The company concentrates on satisfying market segment that demands integrity and quality construction and to maintain a steady growth in sales volume. 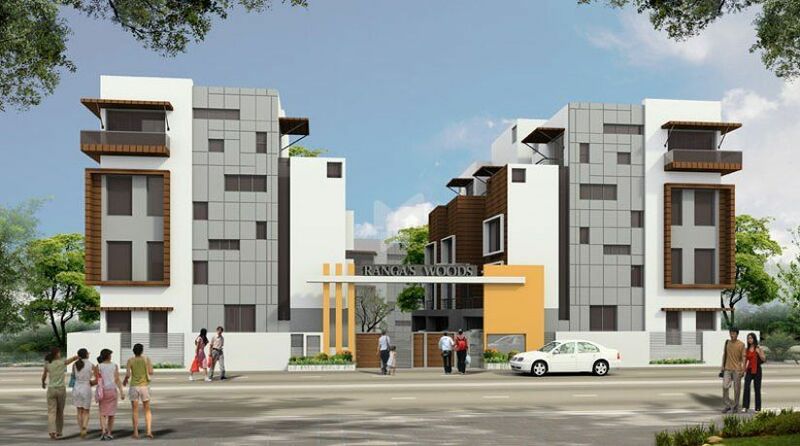 With the team of professional and experienced architects, designers and other people they have constructed many projects which have become a landmark, example to their marvelous work is Rangas Sri Sudharsan in Ambattur, Rangas Yaazh in Ambattur, at Chennai.